Ursula M. Burns is chairman and CEO of Xerox. With sales approaching $23 billion, Xerox (NYSE: XRX) is the world’s leading enterprise for business process and document management. Burns joined Xerox in 1980 as a mechanical engineering summer intern and then worked her way up to the top. Alongside then-CEO Anne Mulcahy, Burns worked to restructure Xerox through its turnaround. Burns became CEO in 2009. 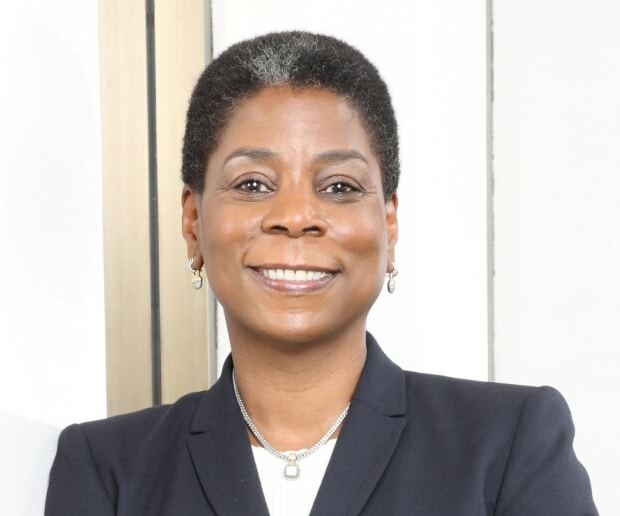 Today, she leads the 140,000 people of Xerox who serve clients in more than 160 countries. Burns is also a board director of the American Express Corporation and provides leadership counsel to the National Academy Foundation, MIT, and the U.S. Olympic Committee. In 2010, U.S. President Barack Obama appointed Burns vice chair of the President’s Export Council. How would you describe Xerox’s leadership approach? Burns: There are two tenets that we focus on more than any others: the customer and innovation. When we have to make a decision that is not clear, or that is a jump-ball decision, we use two things to guide our decision-making. One is a customer-based approach: making sure we know about what their pain points or problems are. The other one is innovation: can we apply some technical or process innovation to this problem to help us solve it? We are extremely collaborative. We try to make people win. We try to have winners in the organization, versus winners and losers. We try to have parity in the organization so that we can get the best out of the group. What do you mean by “parity”? Burns: At Xerox, we have have a manufacturing organization, a supply chain organization, a finance organization, etc. We don’t want to compartmentalize people’s expertise based on their internal organization alone. We try to give individuals parity–equality–in the discussion. In our leadership team, I expect all of them to check at the door their function as the primary thought-process by which they give me input. I expect them to think more about the customer, competitors, employees, and shareholders. So, I give everyone parity to speak about an issue. What are the important metrics that you look to achieve? Burns: Revenue, profit, earnings per share, and cash. Revenue is a surrogate of market share. You can also do market share measures. Those are the ultimate measures of the success of your company. But in our company, the ends don’t justify the means. You can get results in a good way or a bad way. You can get results and serve the community. You can get results and be sustainable. You can get results and be enabling to people in their lives, being nice as my mother would say. In our company, we put a huge premium on the means, on how you do it. Do we contribute to the communities in which we do business? Do we allow people to be whole people? Do we pollute the Earth or not? Are we doing it a way in which our parents would be proud of us? Are we contributing or taking away? If you have the wrong means, you can probably knock the ball out of the park for a while, but you wouldn’t be able to do it in a sustainable way. What are the most important things that leaders can do to create the conditions for high performance with integrity? Burns: First, they define the possibilities. They set the agenda, the tone of the organization. Second, they select. They select the key leaders in the next echelon of the company, help to select the leaders after that, and so on. So, they have a big, big people component. Third, they empower. After selecting correctly, they have to empower these people to actually do the job. Next, they set the correct expectation for what excellence looks like, what greatness looks like. Then you let them go. What’s greatness? Greatness is growing a customer base. Greatness is distinguishing ourselves by innovation. Greatness is hitting a certain EPS or revenue growth target or cash target. But there’s a whole bunch of other stuff around it that helps you do that. What happens when employees violate the company’s values? Even if they are high performing? Burns: We fire them. This is one area that is really easy. It may be hard personally, but it’s the clearest decision we ever have to make. How do you go about people selection? Burns: One of the most important things that leaders do is bring people into this company. I want to know who they are. I want to make sure that they fit in the organization and they have fitness for what we want them to do. What are you looking for in that fit decision? Burns: I very rarely interview somebody about their credentials. People must think I’m a little crazy. I do no credentials. I read the paperwork. I assume that the search firm has vetted that. My interviews are almost all about fit and fitness. I want to know who they are. I want them to fit with our values and culture. I look for flexibility, agility for how quickly and smoothly can you make transitions. How fast are you? I look for fearlessness. I look for people who can decide things. Even if you decide the wrong thing, you can change really fast. I cannot hire people who have to be perfect. I want quick learners. Fast failers. I want the failure number to be small, but, when they do fail, I want them to do it fast and to learn how to do it the next time. I want people who have empathy. Empathy doesn’t mean weakness. It doesn’t mean wishy-washy or conforming. If people have a strong point of view, I want them to respect that people are different. It doesn’t mean that you have to love all the difference. You have to be able to work with all the difference. Character is a huge piece of the fit and fitness test. Strong moral compass, humility, self-awareness, authenticity. You are who you are. You’ve got that clear. Understanding that our organization is bigger than any individual. As we say in the most brutal sense, everyone is replaceable. The one thing that isn’t is that big XEROX, those big red letters, that’s the thing that’s not. That’s the ultimate humility you have to have in this company. You have to make sure that the biggest thing you look at is the brand and how it serves our customers. That’s it. Next is emotional intelligence. That will dictate how far and how broadly you go. It tells us how much of a leadership position you can take in a company. How would you describe the Xerox culture? Burns: It is a culture of possibility. We actually believe that there’s not a challenge that we cannot undertake. When there’s a big challenge or a huge opportunity, we have a culture that says, yes, let’s go after it. We can actually add value to the situation. We are a company that actually revels in the fact that there are hard things to do. If there’s something hard to do, there’s nobody better than Xerox. How is the culture built, and by whom? Burns: The CEO creates the vast majority of the ‘id’ and ‘ego’ of the company. That doesn’t mean that other people don’t reinforce it, don’t enable it, or maybe even sometimes detract from it. 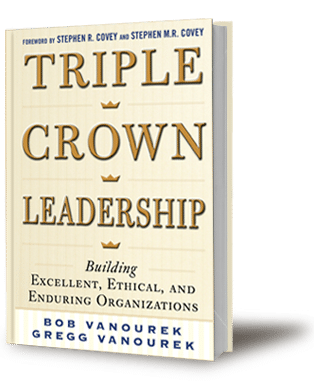 All other organizations in the company, including the board, help to make that personality of the organization easy to align towards greatness. This is not the Steve Jobs kind of leadership where you have a world famous personality. We don’t have that. What role does the board have? Burns: Our board disagrees a lot with things. That’s what they’re there for. The board’s biggest role is selection of the leaders. The board’s big, big responsibility is understanding the people they have running the place. What led to the breakdowns at Xerox that you’ve seen over the years? Burns: We have had examples of a leader who had a completely different and not very positive disposition as it relates to how business gets done to some of the constituencies in the company. That was a disaster time for us. We had to make a pretty quick shift from one CEO to another. It was very confusing, what the values set of the companies was, whether or not the people who were in the company for a long time could fit into this new culture that the leader was then trying to impose. We lost three really important things. The first was our customers, the second, and most important, was our employees, and the third was our capabilities. We actually thought we knew more than our customers knew. Second, we didn’t value our people. We did not educate them and train them to be better. We did not invest in them. We took our eye off our employees. Third, we actually assumed that because something was possible on paper, we could do it. We had no way to screen through what capability our organization had to do some of the things we wanted to do. You can’t just wish it and expect it to come out without enabling. We became extremely bureaucratic and slow. We had to move away from the negative of collaboration and teamwork, which sometimes becomes bureaucracy and slowness, and move towards teamwork and fearlessness to implement decisions with agility to adjust if there’s a mistake. We had to redefine what we call excellence in performance, what we call teamwork. Teamwork doesn’t mean everybody agrees 100 percent, and we don’t do anything until they all do. That just means slowness. What was it like working with (former CEO) Anne Mulcahy during the turnaround days, and how did you two work together? Burns: When Anne started, her beacon was survival. Anne always described it as being in the bunker. When we were in the bunker, we were losing money, had no cash, and had just changed from bad leadership. We had customers, shareholders–everyone you could imagine–pissed off at us. When we were in the bunker, we led a certain way. Anne led a certain way. It was 90 percent her power to be the shining light by which the organization, customers, and shareholders believed. That can’t sustain itself. An organization doesn’t live by an individual. There’s danger in that happening. Now “lead” does not mean “manage.” During the bunker days, for both Anne and me, and probably the top ten people of the company, 80 percent of what we did was managing. Now, it’s totally switched: 20 percent managing and 80 percent leading, because the company has been stabilized. We have built a very, very strong team, a team that’s going to stay around. Was there any change in the purpose, values, or vision of Xerox in recent years? Burns: Absolutely. It was interesting how dangerous it is when you have to move purpose. When you outlive one purpose or one purpose becomes stale, and you can’t articulate crisply and clearly the new purpose, it doesn’t take long for the whole place to go crazy, to fall into disarray. When we were in the bunker, the purpose, which was amazingly powerful, was for Xerox to survive–and to survive in such a way that, when we got through this bad time, we had something to build on so we could thrive in the future. That was the mantra: survive to thrive. But we didn’t cut research and development money. We kept $1.5 billion in R&D even when we were losing money. People said that’s stupid, you should cut R&D. All employees put their heads down in a positive way, and just worked every day to make sure that the next day was better, and that in the intermediate to long term, we survived, and that we had a foundation to thrive on. That purpose could only last until we got through that phase. It took us probably three years before we got pretty comfortable with the position that we were in. Then you have an intensity level that people are working at, a drive, a focus, a passion around the decisions that they make, a level of quickness and clarity about how to make decisions. That goes away after you’ve made it. Then the people look up and say, now what? Now what’s that driving purpose? If you don’t define it clearly, then people actually make up their own. Then you can forget it. Then you just stagnate. So, we had to change the purpose and the vision that we had for the company in the intermediate term. We didn’t change the values at all. What else should we know about how you approach leadership at Xerox, Ursula? Burns: I think leadership has so much to do with who you are. I can get some good hints and tips from books and from people who are leaders, but, at the end of the day, you have to actually make sure that you adjust your leadership style such that you are natural. Yes, you should have teams, and you need a good strategy, and you should be able to communicate, and you should be able to generate followership. But you should be able to do all of that being natural and true to yourself. How have you been able to maintain the pace of leadership in such a big company with all the pressures? Burns: In 2001, I was traveling all over the world, sleeping three or four hours a night, eating dinners late at night—the things you do when you’re a jet-setting executive who doesn’t pay attention to what’s right. I got sick and had to go to the hospital. That was a life-changing experience for me. I put myself on the regime of understanding the impact and effect of my actions on my health: what I eat and how much I sleep. I’ve always been interested in reading and I literally for a long time stopped reading business books. I just stopped. I now read things that I just enjoy: history, novels, and magazines. I broadened myself. Now, I’m significantly healthier. I’m lighter. I can run with the best of them. I keep myself fit and have a sharper mind. If you had to define great leadership in a sentence or two, how would you do it? Burns: Persons who can define a purpose, select a great team, empower that team appropriately, enable them to understand what greatness is about, and then let them go.